PT Kereta Api Logistik - KA Logistik or referred to as "KALOG" is a rapid growing logistic company in Indonesia with a core competencies in railways-based logistics distribution services. KALOG engaged in the field of courier and cargo, cargo terminal, forwarding, stevedoring, warehousing and railways container. PT Kereta Api Logistik is a directly-owned subsidiary company of PT Kereta Api Indonesia (Persero) or KAI Group, a leading state-owned railways company in Indonesia. At present, KALOG is 99.9% owned by PT Kereta Api Indonesia (Persero) and 0.1% by Pusaka Foundation. As of December 2015, KALOG runs its business through 79 office networks spread across Indonesia. Its office networks include 30 branch offices, 25 representative offices and 24 agent offices. The results of operations of KALOG in 2015 were decreasing in performance compared to 2014. 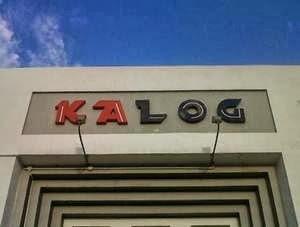 According to KAI Group Annual Report 2014 as cited by JobsCDC.com, KALOG's nett profit in 2015 amounted to Rp 23.77 billion decreased by 37.83% compared to the year 2014 amounted to Rp 38.24 billion. KALOG registered a 10.60% growth in total revenue of Rp 586.42 billion as compared with Rp 530.21 billion in 2014. Background in Bachelor Degree (S1), majoring in Informatics Engineering or equivalent. Minimum 4 years of experience as IT Support or IT Network Engineering. Expertise with Linux, VM, hardware platform, networking and open source. JobsCDC.com now available on android device. Download now on Google Play here. Please be aware of recruitment fraud. The entire stage of this selection process is free of charge. PT Kereta Api Logistik - Information Technology Staff KALOG KAI Group August 2016 will never ask for fees or upfront payments for any purposes during the recruitment process such as transportation and accommodation.